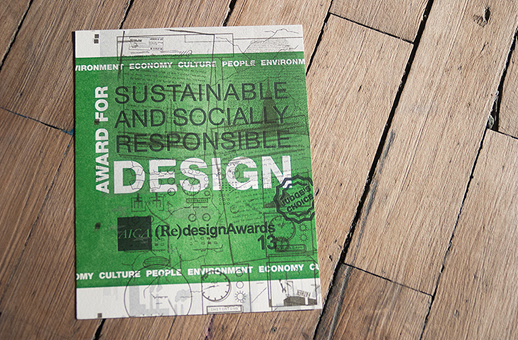 The AIGA (Re)design Awards is an international, sustainably-focused graphic design competition that is held every other year and rotated among the chapters of AIGA—the professional association for design. 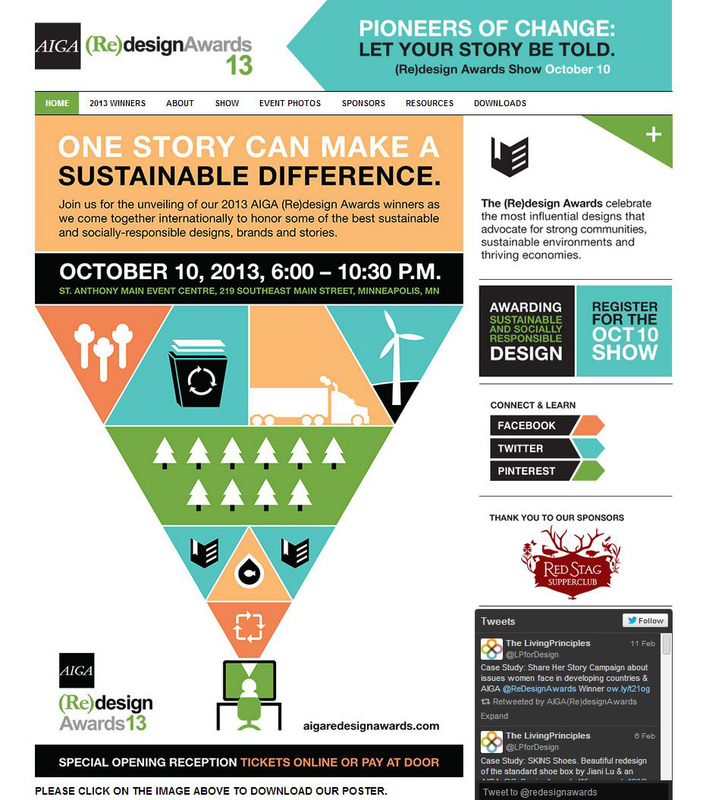 I was asked to lead the 2013 event because of my sustainable design leadership within the AIGA Minnesota chapter. As event Chair, I researched other competitions, developed a sustainable business plan, marketing plan and budget, wrote new judging criteria based on the Living Principles, and formed a volunteer committee of 11 people to plan this major event. Over the course of a year, we revamped the website and online submissions process, selected judges, gathered sponsorships and produced an awards show exhibiting the top 27 entries. Credits: Graphics and brand-creative provided by Christiansen Creative. Volunteer team members: Jaime Hammer, Maria Nocenti, Sherri Days, Maggie Worms, Amber Wahl, Briana Hanson, Shannon Rahkola, Stacey Shaller, Marissa Emerson, Hannah Helgerson, Amy Stemper.